INSTAFIT (Manufacturer of Aluminium Scaffolding) means Scaffolding, is a renowned brand in the domain of Access Equipment, Manufactured by 360 Degree Global Equipment Pvt Ltd., an ISO-9001-2008 Certified Company, specialized in manufacturing of Aluminium Domestic Scaffoldings, Industrial Scaffoldings, Mobile Step Scaffoldings, Tank Access Scaffoldings, H Frame Scaffoldings and Cuplock Scaffoldings. We are triumphant in delivering our products and services to the customers of various domains and regions across India mainly in Chennai and Bangalore. 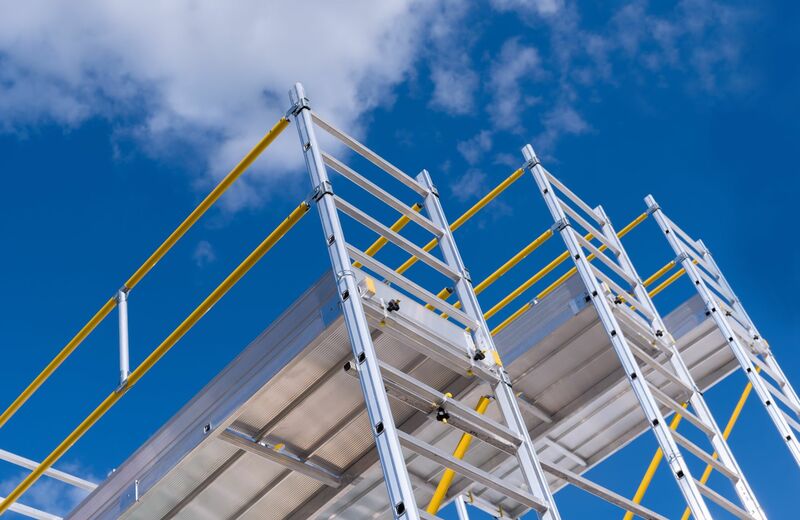 INSTAFIT range of Scaffoldings are manufactured with the efficient Scaffolding making equipment’s, testing equipment’s, decidedly skilled technical team and accompanied with excellent professional technicians and managers. Leading from the front by an experienced management team, INSTAFIT has firmly established itself as a one of the pioneer Manufacturer and leading Exporter of Aluminium Domestic Scaffoldings, Industrial Scaffoldings, Mobile Step Scaffoldings, Tank Access Scaffoldings and Tower Scaffoldings. Our Organization has developed a enormous, technically superior production system. Our Manufacturing facility is equipped with state of the art machinery which helps us in undertaking the production of Aluminium Scaffoldings in a huge quantity at any given time. With the help of our highly skilled manpower, expertise in the industry and our appetite towards quality & customer satisfaction, we can successfully meet the ever growing demands of our customers inside the specific time frame. Feel free to Send us Enquiry For Scaffolding Rental services.